*Price excludes: electronics, merchandising accessories, furniture, flooring, freight, labor, duties and taxes. Price is an estimate only and a final quote must be provided by Nomadic. 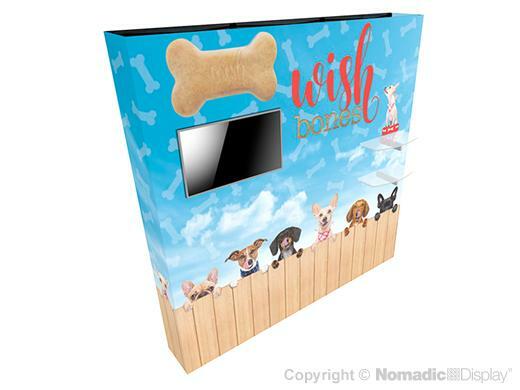 We at Nomadic have combined two of the most popular products in the trade show industry – our famous Instand Plus pop-up system and SEG fabric graphics. Combined we are bringing you the best frame with the highest quality fabric graphics you will find in a new system called SPlus. This display has the ability to be single-sided, double-sided and with or without endcaps. Existing Instand Plus frames can be modified to accept our new SEG struts, so be sure to ask us about that Today.